As you will be reading through this article about responsive restaurant articles, you will notice a variety of restaurant-themed web templates you can use for the design of your website. 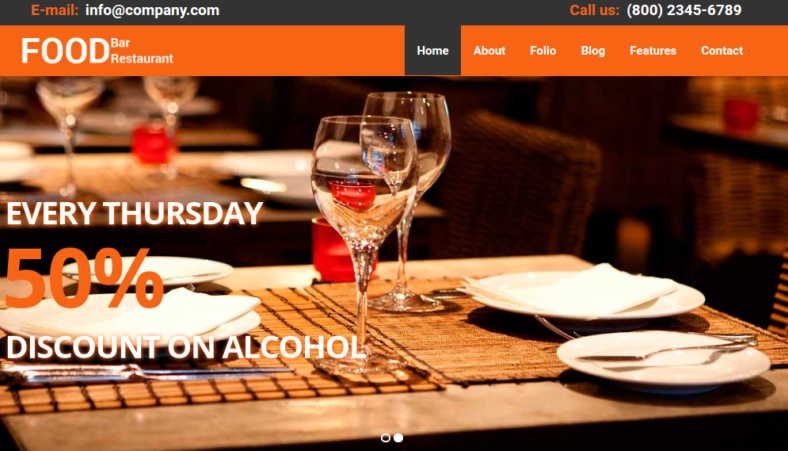 You may also see restaurant PHP themes & templates. Firstly, the image used for the website template is a perfect choice for restaurants whose main dishes are hamburgers. This is mainly because of how well the food is being displayed in such a way that it would literally feel like it’s inviting you to go eat at the restaurant just to taste the hamburger being displayed. You may also see restaurant website themes & templates. 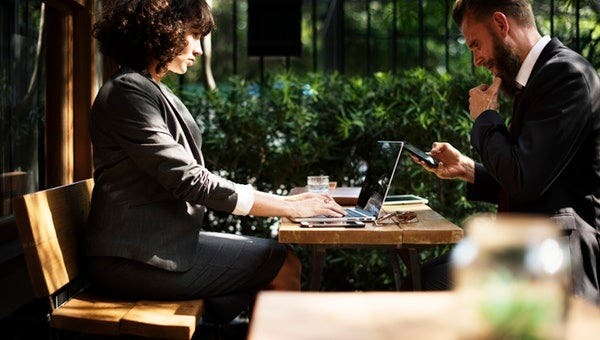 The positioning of every element of the web template’s design is done on purpose so as to be able to have the site visitor focus on the content while still having all of the necessary navigation tools and restaurant menu within view. This makes it easier for the ones visiting the site to view and navigate through your website with ease. 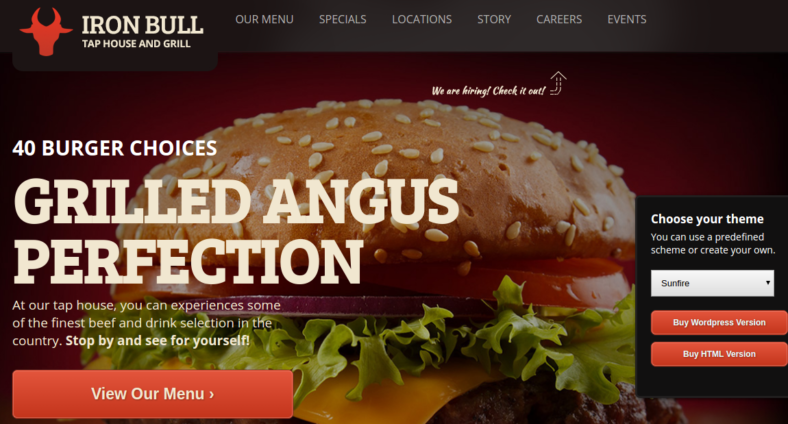 This premium responsive restaurant template is known as Iron Bull. When we think of Italian cuisine, we often think of the combination of herbs and spices to create a memorable and tasteful cuisine. You can see this in the demo image of the website template being displayed on the main image. A variety of ingredients commonly used in Italian cooking can be seen as the cool background image. Aside from its great choice of background design, this responsive restaurant template also displays a user-friendly menu templates and navigation panel that has been carefully designed for the convenience of the person visiting the site. First of all, SM Restaurant is the name of the theme and it is designed to be an elegant-looking and fluidly responsive website template that implements the use of a responsive Magento theme. This website theme also features several customizable features and functions that will allow you to make your website appear and function even better than the image being displayed above. This will certainly make your site even more attractive to your viewers. You may also see restaurant survey templates. Every restaurant has their signature or specialty dishes or food type. In this case, Delicious allows you to design your website according to the type of food you will serve in your restaurant which, in this case, is different types of pastry products. In terms of creating a business whose primary means of income is selling food-based products, it is important to include visual images of the product as well as some form of description about the products such as the ingredients used, the quality of taste, etc. 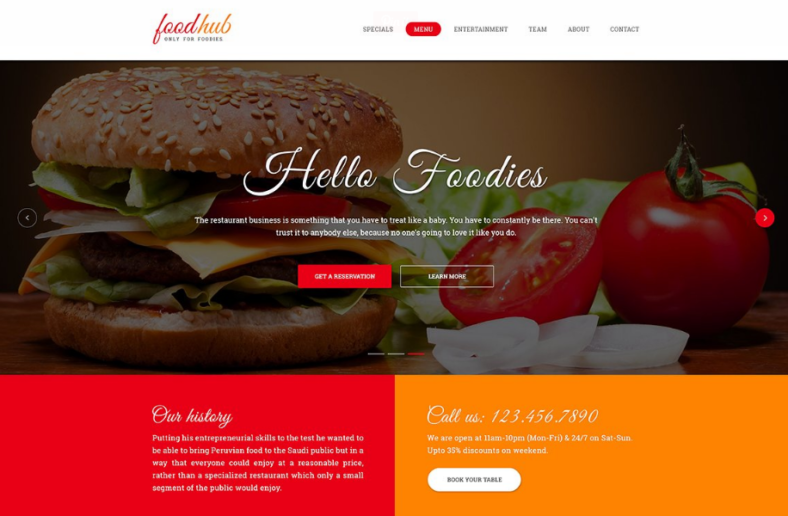 FoodHub is made to be a simple and straight to the point website template that will allow you to create a fully responsive website with the bare minimum of design inputs. This makes it a perfect choice for marketers who are in a hurry to create a functioning website for the better promotion of their establishments. 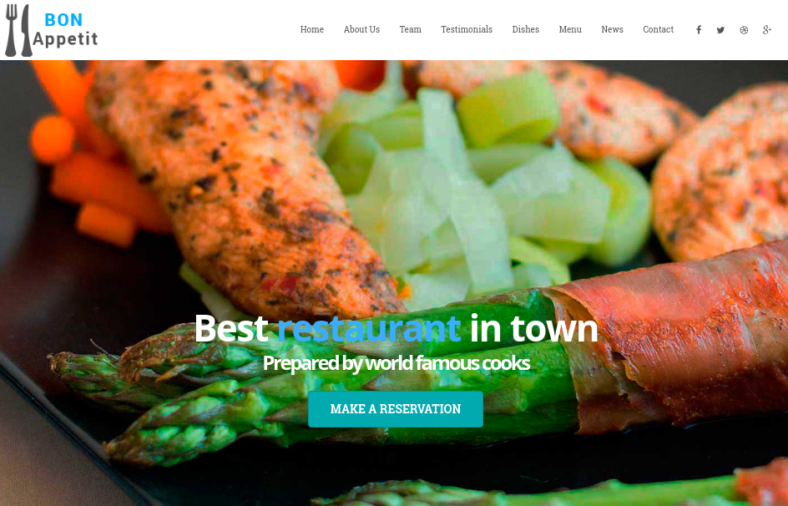 You may also see restaurant Joomla themes & templates. 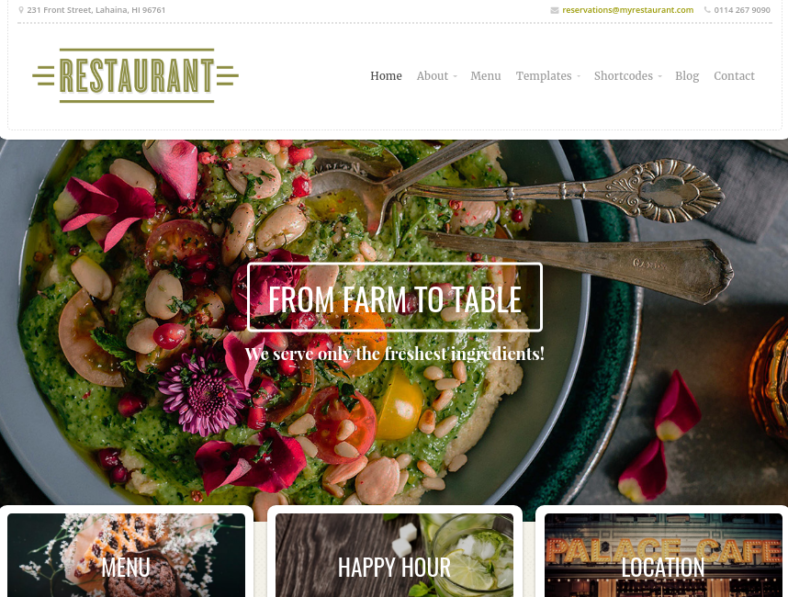 The restaurant is an elegant and fully responsive WordPress theme which is one of the best restaurant-themed websites available today. It has a grid-based layout design that promotes the easier display and identification of the different food products being served in your restaurant. It also has user-friendly navigation to let you access relevant information about your website such as promo events, locations, contact information, booking, etc. 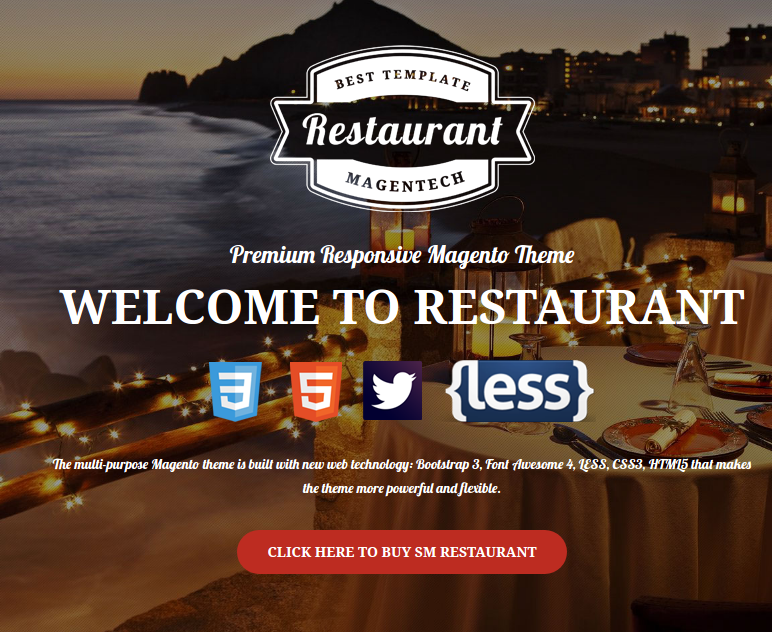 You may also see restaurant wordPress themes & templates. Everyone loves pizza. This fact is true in most major cities nowadays where pizza menu is plentiful and available. Most people prefer it because pizza is easy to obtain and clean up after compared to other types of food. 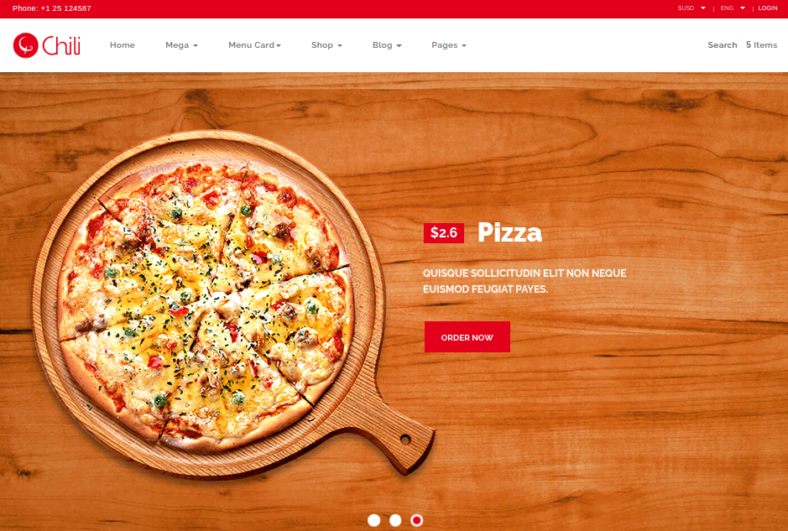 Red Chili is a responsive HTML theme for the creation of a pizza restaurant website. This can be clearly seen in terms of the design of this theme. 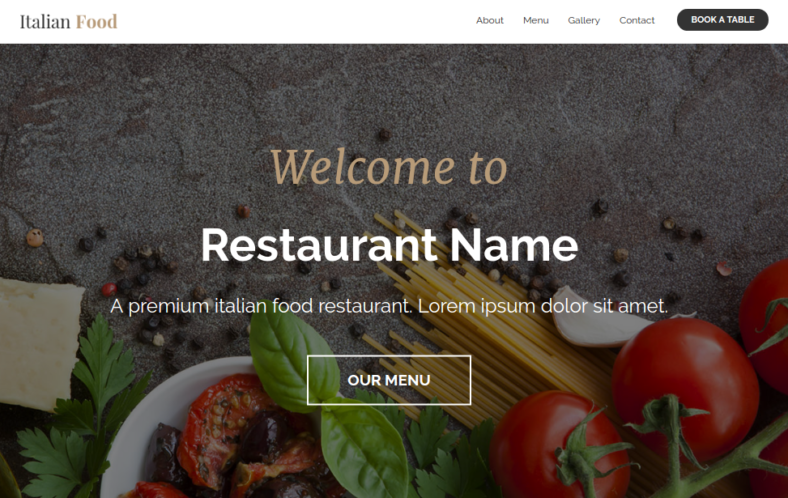 This restaurant bootstrap template is an effective website template in terms of attracting customers to your establishment by means of displaying the actual food and atmosphere the viewer can experience when dining at the restaurant. This website template features a variety of features that will allow you to easily customize the template to fit whatever need you have to meet. 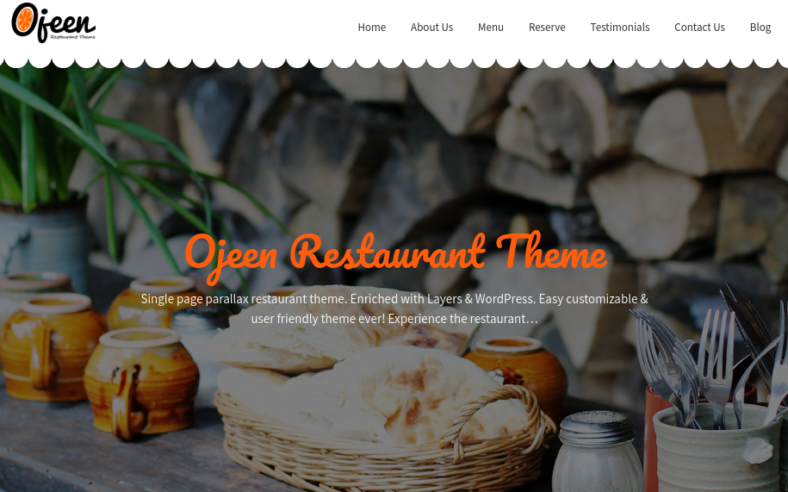 Ojeen is a perfect choice for those who want to create a restaurant website that features a basic and very user-friendly interface. This website theme is made with several minimal WordPress theme features that allow it to function as a very responsive professional-looking website. It features an easy-to-use layers slider that allows for a slideshow presentation on your website, which helps in creating the illusion of an interactive website thems. The best way to describe this website theme would be clean, simple, and very effective. It aims to create a form of subconscious desire or need to go out and find the dishes being displayed on the website solely because of the fact that each dish is being displayed with a certain degree of intensity that makes the viewers crave it. 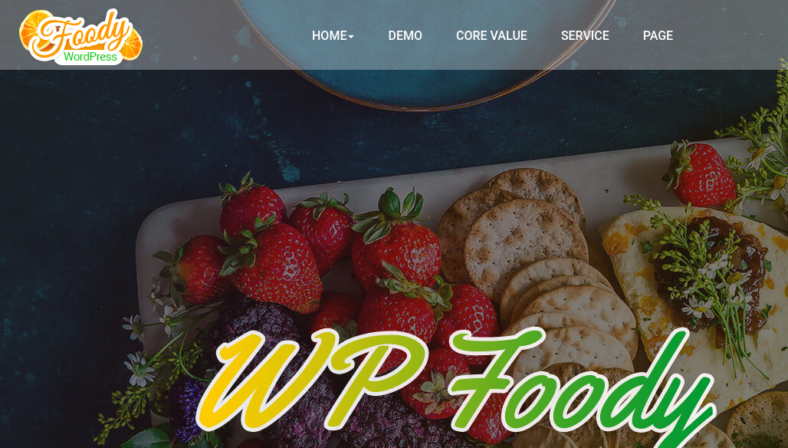 You may also see restaurant wordPress themes. With all these great options, which one is your favorite? 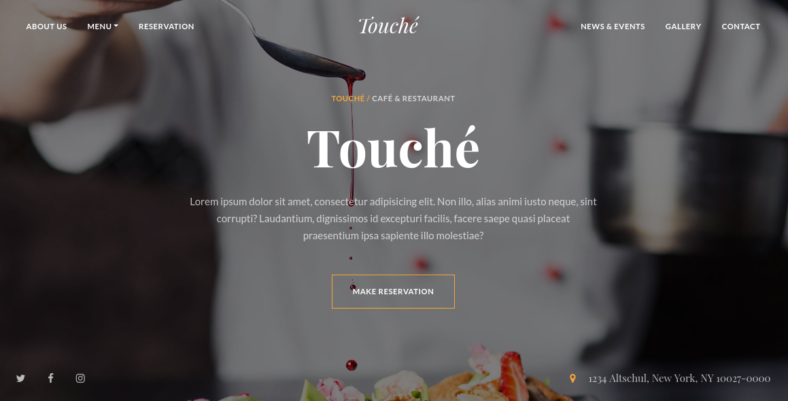 You may also see brilliant responsive restaurant templates.